LG's G Watch Urbane is a premium smartwatch which is priced on the higher side. But is it worth the money is the question. 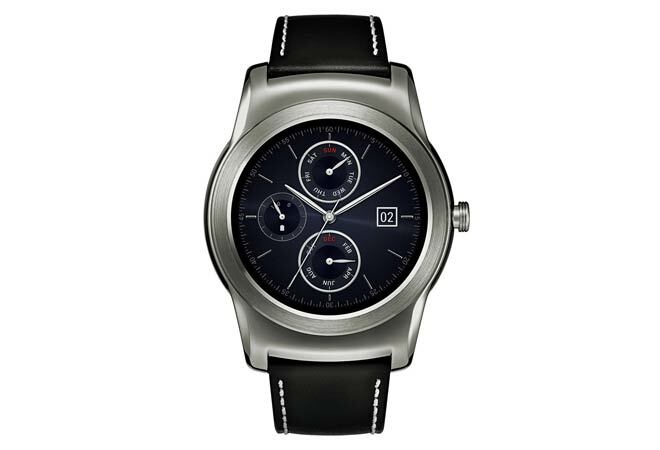 The G Watch Urbane isn't LG's first attempt at a smartwatch. It had come up with the G Watch and G Watch R. But unlike those, this is a premium timepiece. The G Watch Urbane has got a stainless steel casing with gold finish and a stitched leather strap. At first glance, I wasn't happy with the looks, but once I put a face of my choice to the watch, it wore a completely different look that would complement both your business and casual wardrobe. Unlike the Moto 360, which had a black bar at the bottom, this one has a full circular dial measuring 1.3inch. The premium timepiece has a bright and sharp display with 320x320p resolution and offers great sunlight legibility. The side button helps turn on the display and adjust the brightness, and if you press it for long it gives you access to settings. This smartwatch runs on the latest Android Wear 5.1.1 and is powered by 1.2Ghz Qualcomm Snapdragon 400 quad-core processor with 512 MB of RAM. It has 4GB of internal storage. Its 10.9 mm thick and the large metal bezel adds to its weight (66.5 gm). I found it a bit too heavy, but it would be a fine fit for a man. It is IP67 certified, dust and water resistant. To set up the LG G Watch Urbane, you will first have to install the Android Wear app in your smartphone and pair it over the Bluetooth. The watch is easy to use and you can master the workings of the device within a short span by swiping on the display. You can slide your finger from the top to the bottom edge to access notifications, theatre mode and quick settings, apart from increasing the brightness. All the apps are placed on the homescreen. This watch can be used to view call, email and message notifications, and to get traffic alerts. Unlike some of the smartwatches that support calling, this one does not. You can access call logs but will have to pick up your phone to dial and make a call. You can also access Google Now-based contextual updates in the form of cards, just by flicking your wrist. The 'Ok Google' command wakes up the watch and takes commands for sending a text message, checking weather updates, setting up a reminder, controlling music, launching an app and much more. One of the best features of the Urbane is the Wi-Fi Sync, which continues to fetch Internet-based notification even if you forget your phone at home. The only criterion being that the phone should be connected to the Internet. For charging, there isn't any port, but you will have to plug it to the charging accessory that comes with the watch. A full charge lasted for over a day-and-a-half. Bag it or Junk it: Premium smartwatch with faces. Comes at a price.